Although we have only been on three cruises....this was one of our most memorable experiences vacationing. We have travelled the world mostly on our own and don't particularly like arranged travel. However, this will go down as one of our best vacations ever...due to the contentious staff of Viking, their attention to detail and the wonderful and fun loving staff.....everyday we couldn't believe it but it just kept getting better!! We know weather was raining and windy, but to miss 3 ports is not very good for only a 9 day cruise ! We wonder why could the MSC cruise ship get into the ports on the days we could not get in, is the MSC a better more stable ship ? should we have taken their cruise ? 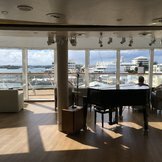 Excursions on Viking Star - very short and quality is poor, with little value, even the ones that are extra fees. 40 plus guests are TOO many on included and those with an extra charge !! We will need to understand if there is a problem with the Viking Star or the captain, before we consider travel on it again. Hotel and Food & Beverage were OK. 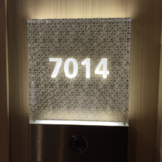 Although the the first two days were two fats of hell, flight delays and being stuck overnight in New Jersey and being 25 hours late boarding the ship, the cruise was more than I expected. Great ship and even better service from staff. Only problem, as noted earlier, was with the shower and it not being handled in a timely manner. Also Venice could have been handled better. Viking did an excellent job of rescheduling many excursions due to uncooperative weather. Well done! Ship was great ; weather not; substitution of Naples(which we didnt see) and Palma well below our high expectations. Our Viking River trip on the Danube set the bar high formking mid course corrections! I would expect some credit on our next trip (australia in 1/19) will be made. The Viking experience was our best yet. We took another company's river cruise last year and thought we had experienced the best until this cruise. 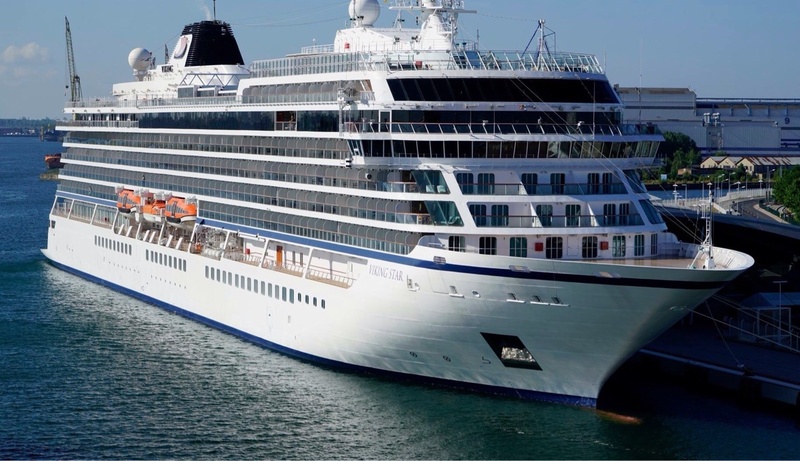 While still on a fairly small ship, the Viking Star was elegant as she was equipped with the finest staff, cuisine, lodging, and excursion choices. We look forward to our next Viking cruise!! This is an excellent choice if you’re looking for a relaxed yet classy experience. No formal nights, no charge for speciality restaurants (Manfredi’s was exceptional), wonderful spa area, plenty of space to just hang out. Fabulous cruise line. We are definitely going on another Viking cruise. Wonderful cruise experience on Viking Star (beautiful ship, nicely appointed cabins, professional staff, good food and drink) but disappointing that we missed two ports (Sicily and especially Algiers -- how many other opportunities will anyone have to go there?). The first week on board was okay until starting December 2, we had a "hot water" problem in our cabin, which persisted until December 6. This problem ruined the whole cruise. I was stressed out not knowing if I could shower or not. They said (Receptionist Desk) that Los Angeles Office was made aware of this, but to date nobody has contacted me yet about our misfortune in this particular cruise. Also, we felt there some kind of discrimination when being served compared to faired skin passengers. One of our best cruises. Great itinerary, excellent food and wine, friendly ship staff. Look forward to our next Viking cruise, a Viking river cruise in Portugal and another ocean cruise in 2019. We would heartily recommend this cruise to anyone who enjoys the cruise experience. It is not geared to families with children - thank you. The staff and crew definitely have had excellent training in attending to the expectations of the passengers. The food was good and the cabins and public areas were always clean and well-cared for. I am not sure why the rating does not add up to a "5" as that would be our recommendation. We also cruised to Eidfjord, Norway. Beautiful fjord. Included tour here was terrible, a 20 minute bus ride to museum, 2 hours alloted, only needed 30 minutes. Small town and there was not much to do the rest of the time in port. Included tours to Eidfjord, Bergen, & Berlin need to be revamped. This is advertised as all-inclusive, therefore each included tour should allow for a good experience in each port of call. In the places mentioned, it is necessary to purchase an optional tour for that good experience. This cruise was mostly very good. The itinerary was very interesting and it's a great part of the world to visit. I think if Viking makes a few changes it will be a great cruise. Cruise was great, but the pre-cruise excursion to Iceland was not worth the money. Viking should have planned an excursion of some sort on the day we all arrived and made arrangements for us to get into our rooms early. We sat in the hotel lobby for over 6 hours with nothing to do until we were finally allowed into our rooms. Most of us had traveled overnight and were extremely tired. The sites were fantastic. The ship was very good. The food was very good. The service was excellent. The shore excursions left a lot to be desired. Some were cancelled and the there was little concern by the on board shore staff. Favorite part and the reason for selecting this one was the cities it stopped at to visit. Improvements on this itinerary would be (1) Notify early on that a Gondola Ride would be available on the first evening in Venice. Had a frustrating time trying to find out how we could get one on our own. And then when it was announced on the website, it was more frustrating making a reservation as it indicated space available but wouldn't accept the credit card. Finally, after numerous tries, we were confirmed. (2) Included excursions/tours were not very desirable. When Florence is listed on the itinerary, one would expect an included tour there. The included tour of Toulon was a waste of time. We bought more excursions than anticipated. It was a very good cruise but recommend not going over Easter weekend as the crowds are overwhelming; example, impossible to walk through the streets of Corfu on Good Friday. This was our first small ship cruise. We enjoyed be able to move around easier because of fewer people on board and hardly any waiting lines. Also enjoyed not being asked to buy something all the time i.e. Photos, drinks,art etc. The ports on this cruise were outstanding and the included tours were good.We took three optional tours that were excellent. The service was great by the crew. We did feel like the gratuity was too high $15 per day per person ,based on the price we payed for the cruise. Viking should be able to lower the gratuities with out taking anything away from the crews pay. We did appreciate the upgrade on cabin. The Viking air cost too much, was not good connections and we paid $100.00. each for flight deviation and lost a transfer we paid for in the process.